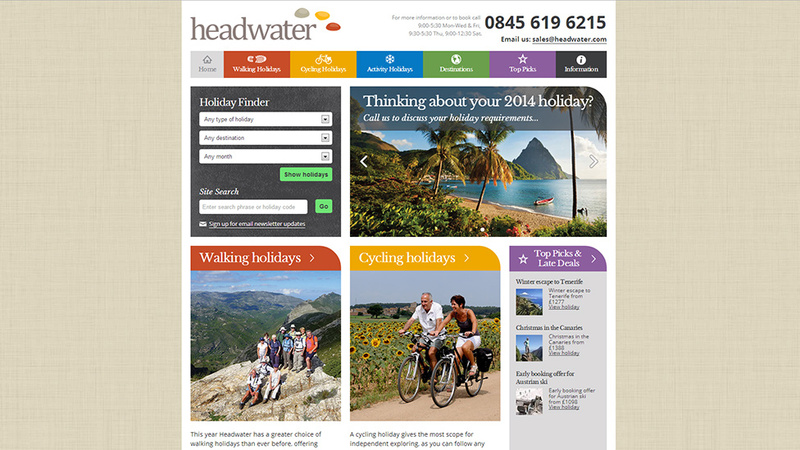 We helped Headwater Holidays redesign and build the front end of their mobile responsive holiday bookings website. The process began with careful research into their previous website which was in need of a revamped look and feel as well as improvements to the user experience and SEO considerations. Initially, heatmap click tracking software was implemented, Google Analytics were analysed and customer feedback was gathered. This allowed us to identify the strongest and weakest elements of the previous website design; which areas worked well and should be improved upon and those that didn’t and should perhaps be discarded. Next, creating wireframes allowed us to scope out the new responsive website design in terms of both content and user experience. 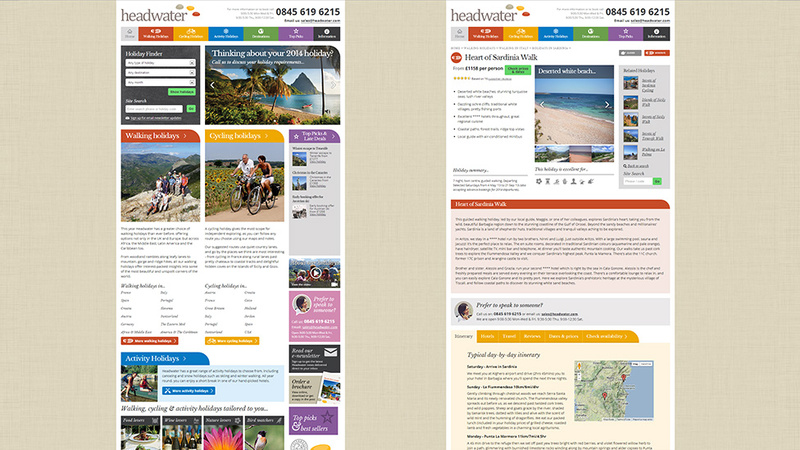 Page layouts were designed – in both desktop view and mobile phone views – to reduce clutter and guide the user through the information, towards making a holiday booking. Several rounds of wireframes were produced in conjunction with client meetings and feedback. The visual design made use of the branding work we had already rolled out for Headwater’s brochureware. Strong typography, a bold, pleasing colour palette and a library of icons were developed to help aid in site navigation and the overall user experience. 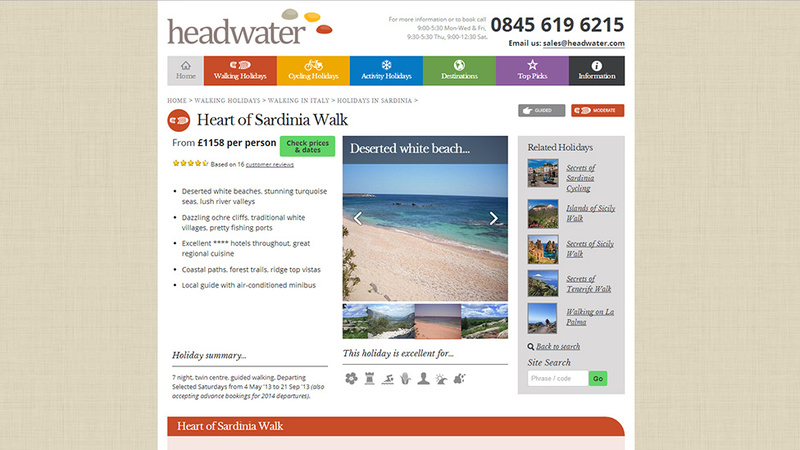 The Headwater responsive website build uses adaptive layouts that work well on both desktop and iPad as well as reformatting appropriately for mobile phones. 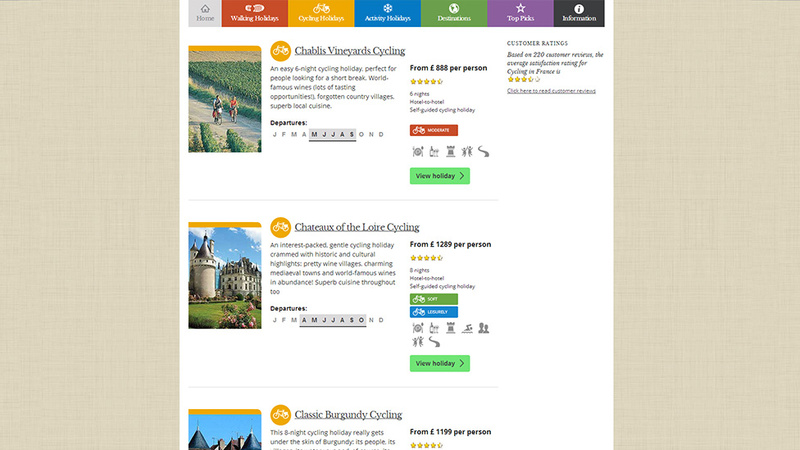 Particular attention was applied to the distribution and organisation of content and SEO keywords. 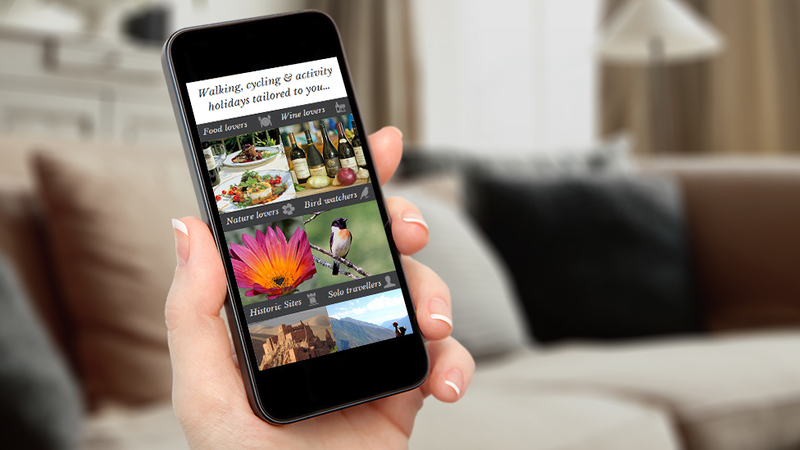 The addition of swipe-enabled slideshow galleries result in a more engaging experience on all devices. 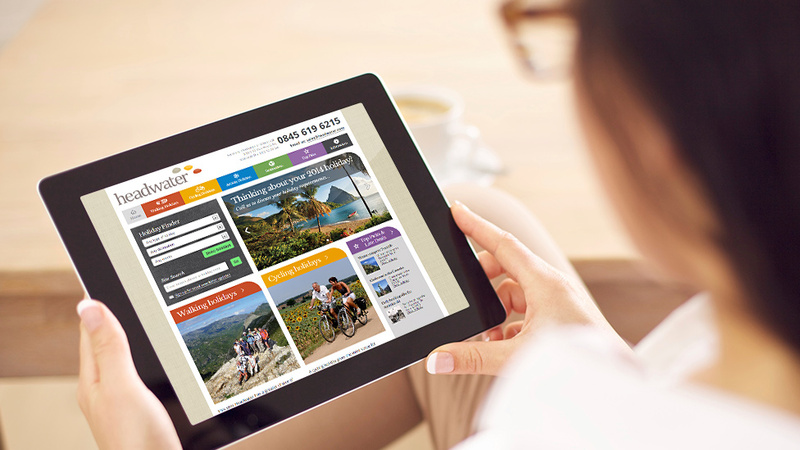 The new website design has been a great success, with massive increases in traffic and conversions. The design has also been applied to mobile-friendly email designs, which can be used as easy-to-update templates by the client to send out regular campaigns, driving even more visitors to the website.